Change Agents | Project Managers are Change Agents! In July, Project Management Review (PMR, in China) published an interview with me, covering seven topics. The interview appeared in their online magazine, their paper magazine, and in PM World Journal. This interview topic is about Small Projects. PMR: You’ve mentioned that the secret weapon of high-performing project teams is small projects. What is the logic behind this statement? For many organizations, small projects are an invisible 20-35% of their entire annual expenses. Funding usually comes from an operations budget, and staffing is based not on prioritized portfolios, but instead, on ‘who isn’t doing anything important right now?’ Most organizations don’t even have a definition of what constitutes a small project, or apply a consistent approach for identifying, prioritizing, delivering, and evaluating their success. 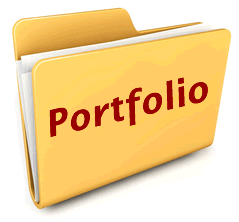 I noted this in the early 1980s, as I was coaching my clients to develop portfolios of their projects. I saw, in the most-advanced organizations, including global businesses and government agencies at national and local levels, an understanding that small projects needed different treatment than larger ones. For example, they often solved symptoms, rather than spending the time to understand underlying causes. Many times, the same symptoms occurred dozens of times before finally, someone would realize it was far too expensive to continue doing repetitive ‘quick fixes.’ Then, they would finally understand the root cause, and permanently cure the problem. Small projects were the least efficient and least effective way to deliver project results. Large projects, six months to a year in duration, and one to three teams, were significantly more efficient that were very large projects, and faced lower risk. Medium projects, three to six months in duration, and having three to seven half-time team members, were the most efficient way to deliver project results. This entry was posted in ChangeAgent Posts on July 19, 2018 by Stacy. During the 2000s, we published a series of articles on the “Vital Signs” of project management. We included insights on project time, cost, risk, quality, scope, talent, communication, and stakeholder engagement. Our 2008 article, “Everything I Know About Project Time Management, I Learned In Sports Car Racing,” was one of the most popular of the bunch. It remains so today, ten years later. So on this tenth anniversary of its publishing, we highlight that article. Since its original publishing, this article has been the basis for global and national keynotes and webinars, and for chapter meetings and project team discussions. This entry was posted in ChangeAgent Posts on March 3, 2018 by Stacy. To help you decide which project and program management certifications are best for you, and to show why ours stand out, we researched and published an article on the subject. This post is an introduction to the article; see the full article download link below. This fresh new analysis helps to balance misinformed impressions seen elsewhere on the web. As credited in the article, we based the analysis is on three independent studies and reports. The full article, in Adobe Acrobat pdf format, is available here on the IPMA-USA website: Comparing PM Certifications. Below are a few of the highlights from the article. Everywhere you look, on the web, in magazine ads and articles, and in some training companies’ marketing materials, you see a wide range of assertions about the value of a variety of project and program management certifications. What is a decision-maker to think? Are there rational ways to evaluate and compare the myriad offerings? This entry was posted in ChangeAgent Posts on February 9, 2017 by Stacy. Several years ago, I had a bit of fun with the title of this posting; I suggested the usefulness of a Jeff Foxworthy comedy routine for project managers and business analysts to a good friend, Tom Hathaway, of BA Experts. He followed through with the idea at his website. Click his link and see Tom’s results; I think he did a great job! 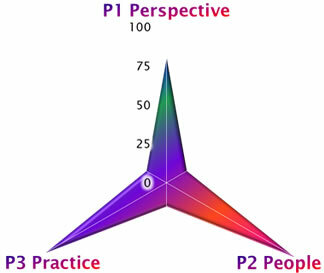 This year, the “You might be …” set-up came to mind as I was putting the finishing touches on an update to IPMA-USA’s PM-SAT; a self-assessment of Project Management knowledge, based on the new, 4th Edition of the IPMA (International Project Management Association) Individual Competence Baseline. What makes this 4th Edition ICB especially interesting is the inclusion of 2-5 Key Competence Indicators for each competence element. But, before we get into that, and for those who are unfamiliar with the genre, let’s explore the Foxworthy theme. It started with a rather cruel statement, then a series of ‘interesting’ indicators. For example, “You might be a Redneck if…” followed by something like, “The taillight covers of your car are made of red tape.” Cute, and fun; and not too outrageous. It occurred to me that people who are friends (or family) of project managers probably have similar sayings about us—but are too polite to divulge them to our faces. This entry was posted in ChangeAgent Posts, Technical Elements, Understanding Competence and tagged assessment on January 23, 2016 by Stacy. I have used this article’s title as my kick-off phrase at a half-dozen project-related keynotes and presentations over the last few years. Most audiences immediately “lean into” the thought, and its ramifications. For example, in Moscow, Hong Kong, Beijing, Tianjin, Brussels, and in the USA, my audiences immediately took notice, became engaged, and were eager to hear more. This August (2015) was the first exception I’ve had to that typical reaction: As I voiced the introductory statement, I immediately detected disbelief among many in my audience. This was at one of the USA’s best PM Symposiums: I think this is one of the best because of the high-level audiences, the speaker selection process, and excellent event organization. And our stakeholders? They are engaged, and expect us to continue to make miracles happen. This entry was posted in ChangeAgent Posts and tagged Business Success, Competitive Practices, GAPPS, PM Performance, Project Success on August 20, 2015 by Stacy. We’ve written before about the intelligent application of Agile methods in Information Technology (IT) projects: See part 3 of our 4-part 2011 series, The First 10% of a Project: 90% of Success, here in our ChangeAgents articles. This article is a follow up with more insights. And, much has happened since our earlier article. 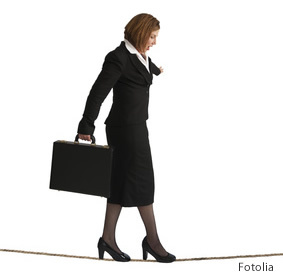 Agile is maturing, and moving beyond a focus on the last-half-of-the-IT-life-cycle. 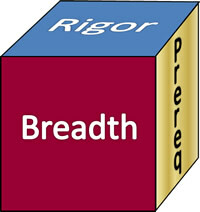 For example, we have seen excellent discussions on “hybrid” approaches. This involves using Agile where it is most appropriate (and where the prerequisites are in place), and using other insightful pm methods where they are more appropriate. That approach in IT, plus increasing use of Agile concepts in areas such as New Product Development, shows promise. This entry was posted in ChangeAgent Posts and tagged Business Case on June 3, 2015 by Stacy. 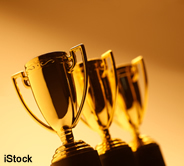 What are the Best Practices in the world of project and program management (PPM)? Are there a few immutable truths that are transferable across nations, organizations, industries, cultures, and project teams? I often see assertions promoting PM Best Practices—despite my belief that the phrase is an oxymoron—that our discipline is not yet mature enough to have universal best practices. This article is a recap of many discussions on best practices over my years as a PM practitioner, then as a consultant. This entry was posted in ChangeAgent Posts and tagged Competitive Practices, PM Performance on April 3, 2015 by Stacy. Many years ago (1973), in a Data Processing group in a local government organization (Lane County, Oregon) we had several large projects, and a large backlog of small maintenance, support, and “quick fix” projects. And, for this backlog of projects, the priorities continually changed. The changes were so frequent that we could plan our week’s work on Monday, but by Friday, little of that work was complete, because of many new, “even more urgent” projects, and because of priority changes in our backlog. We addressed this challenge by prototyping a solution: Keeping track of our “backlog” in (of all things) a box of punched cards. That was the primary input to many computer systems in earlier days. After we perfected the information we needed to track, we began to use an online version. In that era, online often meant a simple listing of card images on an 80-character screen. Unfortunately, our solution did little more than depress us—the backlog kept growing. And then, several new books on Time Management emerged. We especially liked Alan Lakein’s How to Get Control of Your Time and Your Life. We decided that his insights, including better methods of prioritization, were the key. We added Urgency and Importance fields to our backlog list, with entries limited to 1, 2 and 3, where 1 was most important or most urgent. Note that Alan Lakein used A, B and C for the three choices, we used 1, 2 and 3, because they could be more easily averaged. And, we required that all entries must average 2, to force a sense of high, medium and low Urgency and Importance. Otherwise, everything would soon become Priority 1, destroying the value of the system. This entry was posted in ChangeAgent Posts and tagged Co-Pilot: Small Project Guide, Portfolio on February 1, 2015 by Stacy. I was shocked. As a practicing project manager and consultant, his reply stung. But then, this company was a major Aerospace/Defense contractor, and despite the Integrated Product Team initiatives of the 1980s, some of the old-timer Project Engineers were still not known for their interpersonal skills and scintillating style. But to make such a blanket statement? Even by the early 1990s, I had had worked with thousands of project managers who had great interpersonal skills—and personality galore! 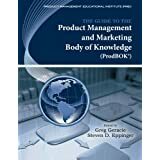 I was reminded of this discussion several years ago, when PM Consultant/Speaker/Author Gary Heerkens suggested that I should assist in a new initiative, to develop a Product Management Body of Knowledge. Gary put me in touch with Greg Geracie, who had completed a useful and popular book on the subject (Take Charge Product Management), and was working with a professional organization on this Body of Knowledge project. This entry was posted in ChangeAgent Posts and tagged ICB, IPMA on October 14, 2014 by Stacy.